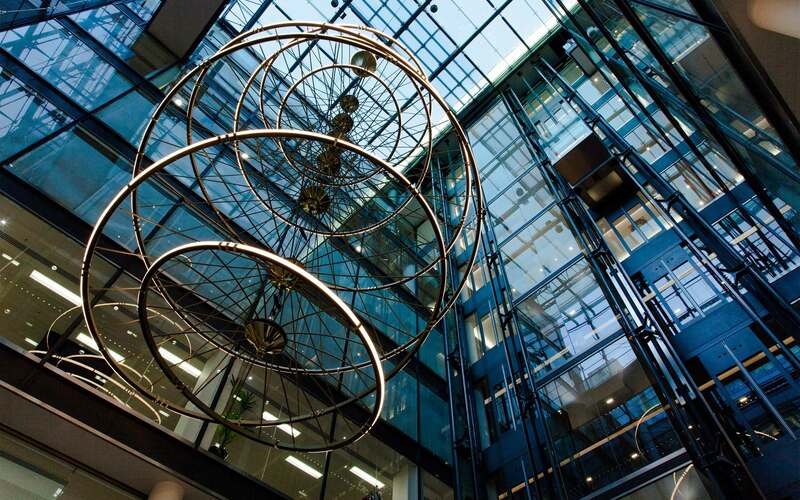 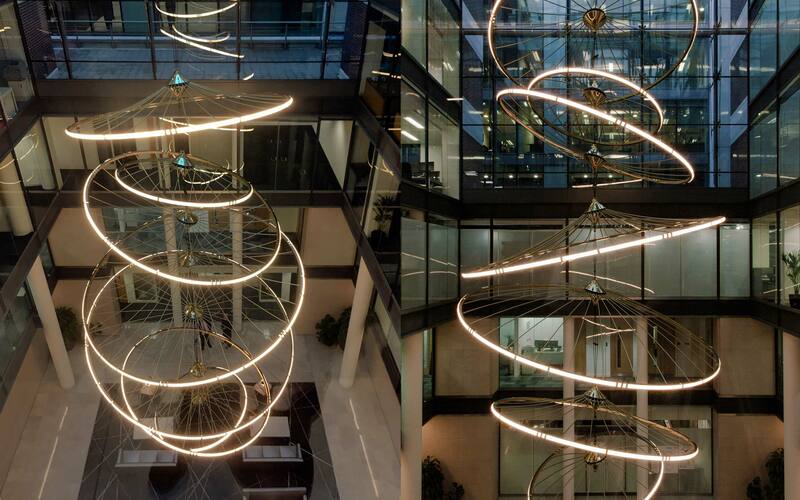 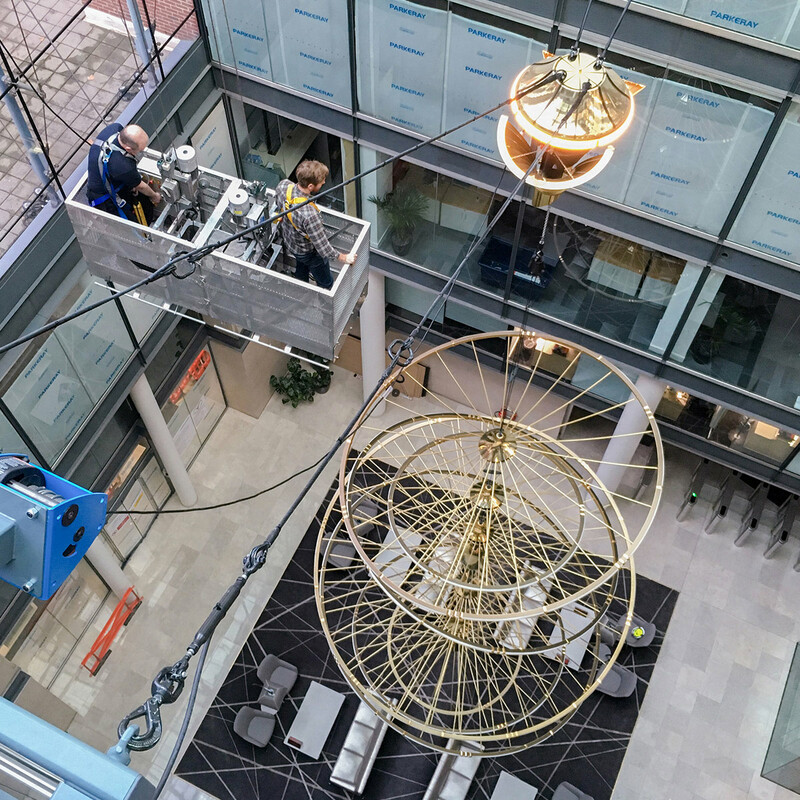 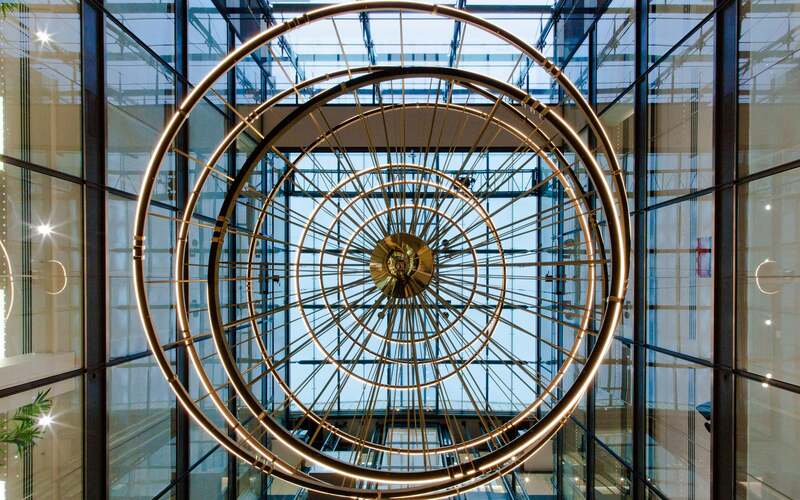 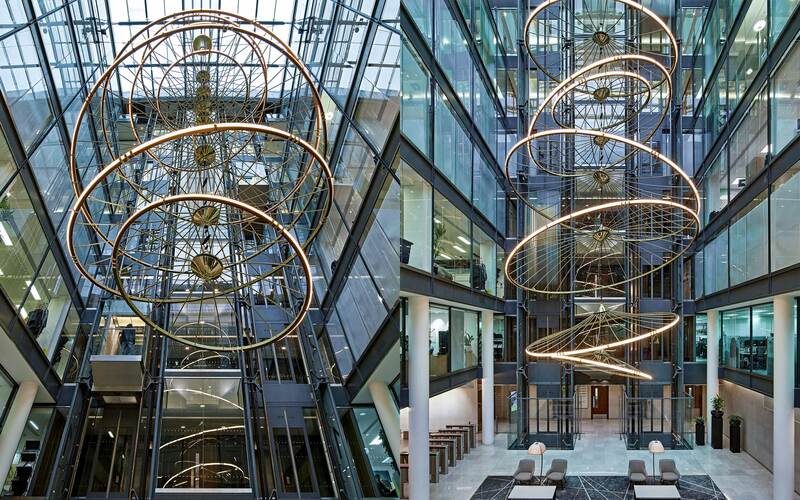 Inspired by the forces at play in a gyroscope and designed to be a central statement to four facades each busy with 7 storeys of bustling workers, the sculpture expresses this rotational energy as perfect rings of light, positioned to appear spinning energetically out of alignment throughout the atrium space. 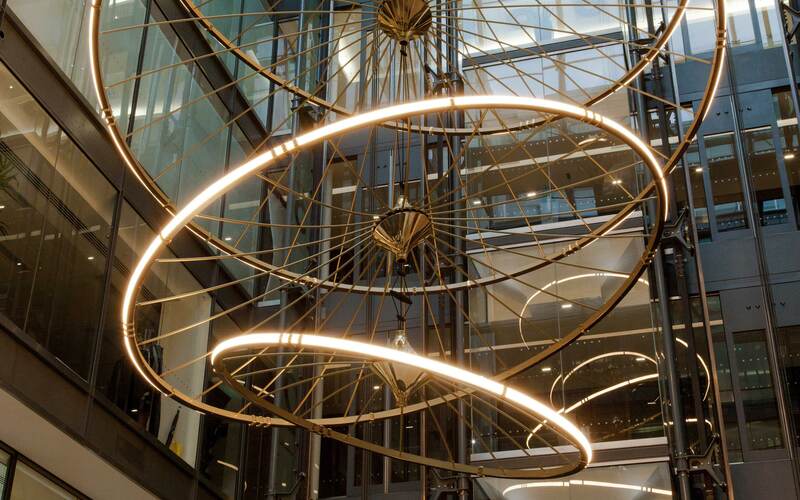 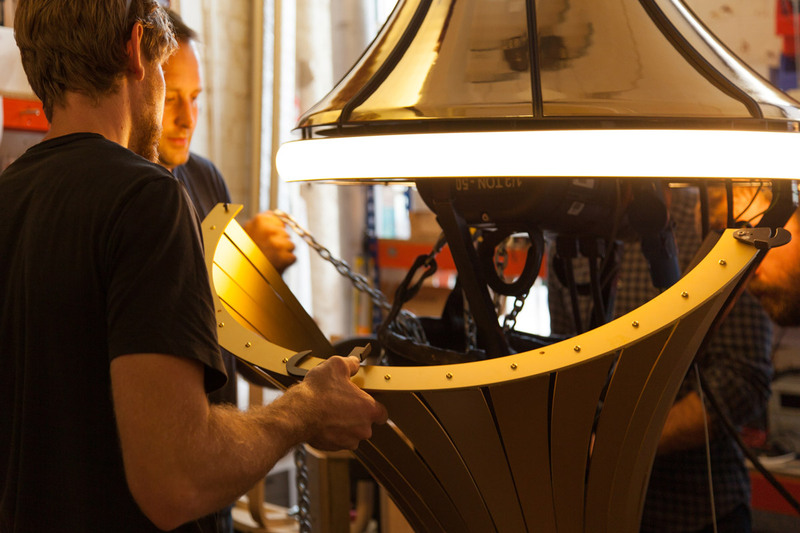 This heady sense of motion through light and form invites viewers to explore its geometry as they move through the space in the high speed lifts to one side. 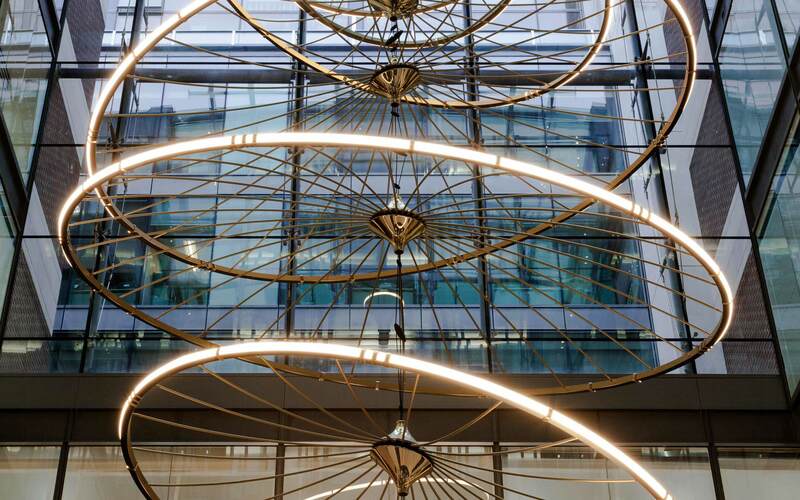 When viewed from directly underneath a moire of spokes and merging geometries provide a visually complex juxtaposition to the balanced ring forms of light.